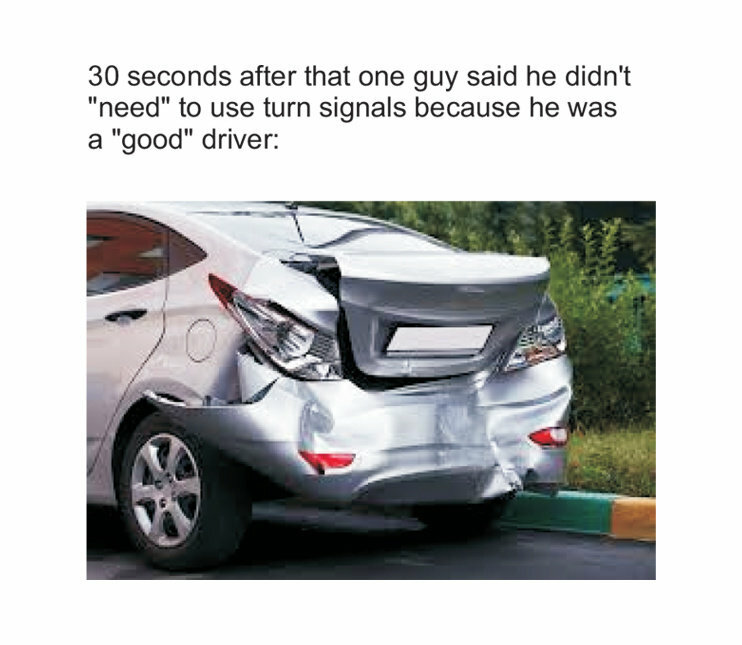 Don't get mad when you get honked at for not doing something so simple. 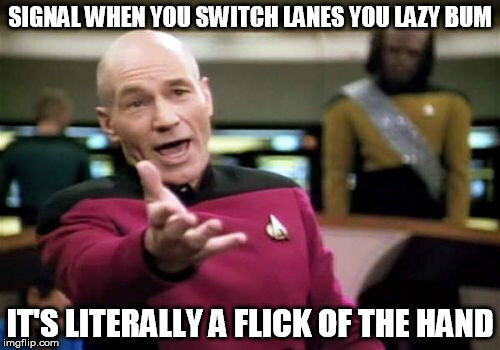 As a commuter student, I've seen my fair share of bad drivers and developed quite a few pet peeves when it comes to other drivers. My biggest one by far: PEOPLE WHO DON'T USE THEIR MOTHERFORKING SIGNAL. 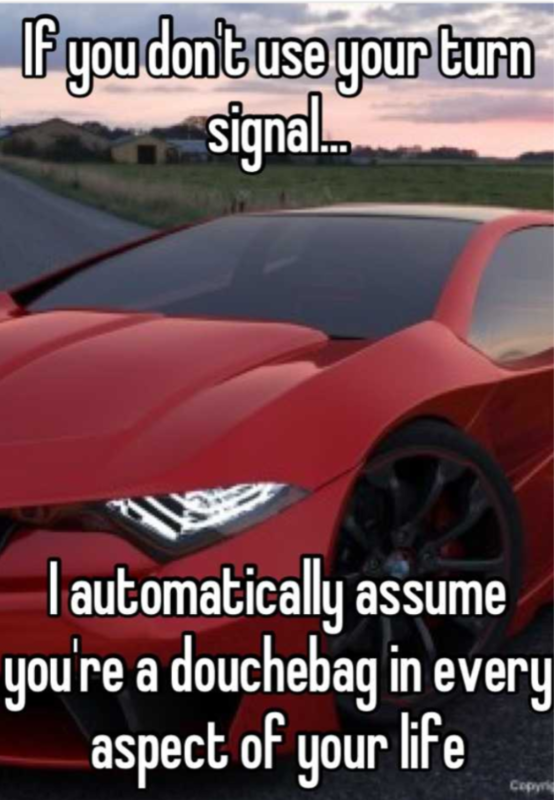 I am not afraid to honk people who switch into my lane without a signal. It's one of the few things I will not simply be passive aggressive over. 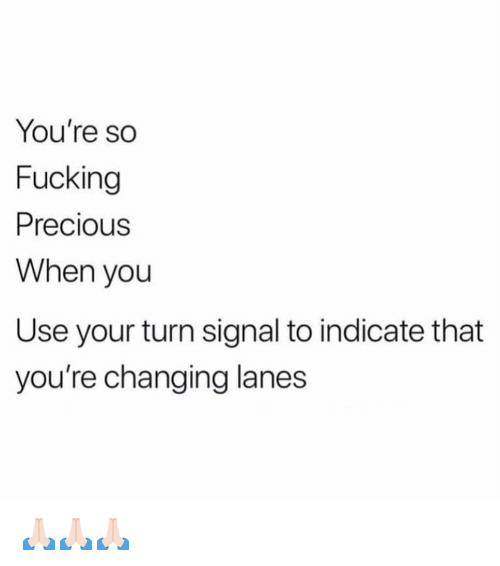 So for those of you who don't use a signal: here's 9 good reasons to use it - and don't get mad or flip us off if we honk you! 3. 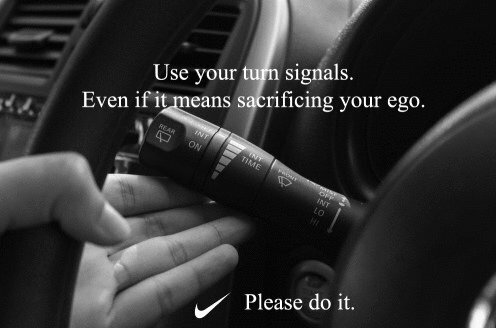 Don't you want to be safe? 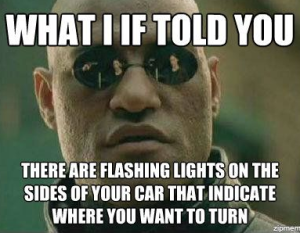 Just move your left hand a teeeny bit and move the rod on that side UP if you're going right or DOWN if you're going left! Easy peasy. 7. You know which way you're going, right? We don't know what you're thinking!! 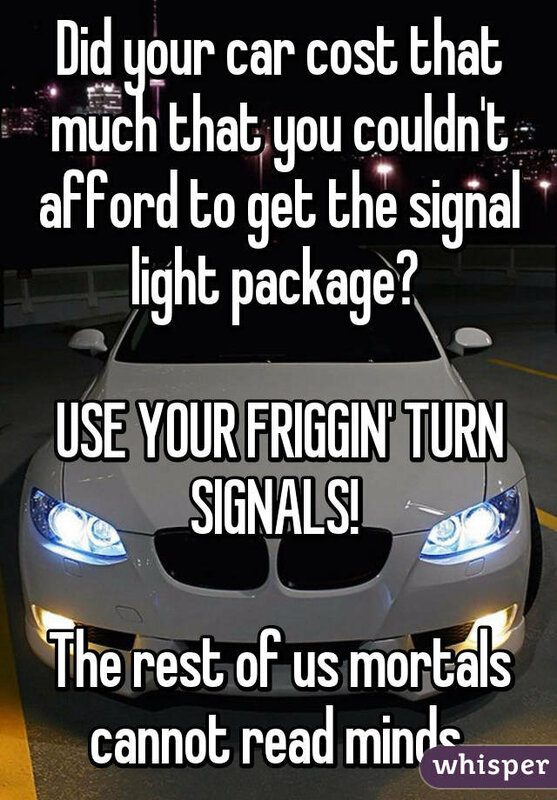 Without a signal, we don't know which way you're turning or if you're about to switch into our lane. 9. Oh right, IT'S THE LAW.